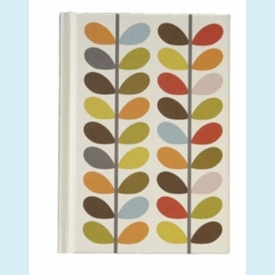 New from fashion-forward designer Orla Kiely is this eco-trendy A6 Multi Stem Journal. The hardcover book features 168 bound lined pages and has a green satin ribbon bookmark. 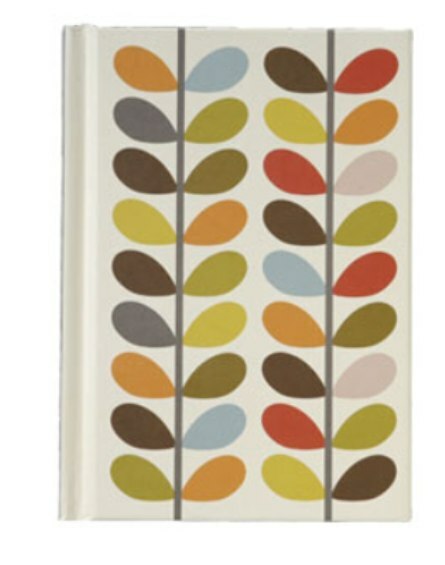 CLOSEOUT...only a few left! SIZE DIMENSIONS: 4" x 6"